I am a market person, being Asian I’m used to go to open market bazaar in the region. 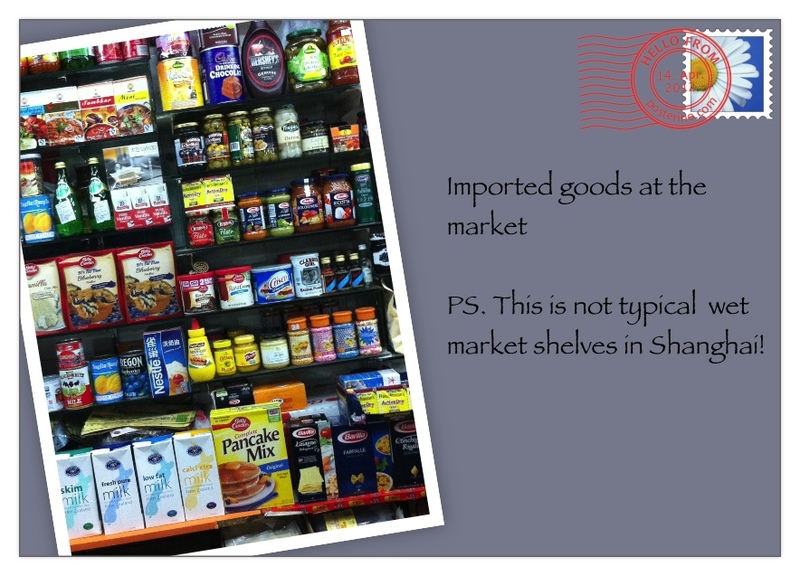 When I arrived in Shanghai naturally I asked around to find a market that is close to where we live. Most of the locals told me to go to Carrefour (very general items, mostly made in China), the expat circle Moms told me to go to City Shop (imported goods at extremely high price, very nice shop), Ole’ Supermarket (it is conveniently located in our compound, nice shop mostly imported goods, also not cheap) or Metro for larger purchase of dry goods (similar to Makro or Costco, got some good imported baking products), a friend told me about the Avocado Lady in Puxi side (another blog I will write about) then out of the blue one of the Class Mom from school told me about this wet market in Lujiazui (Pudong). 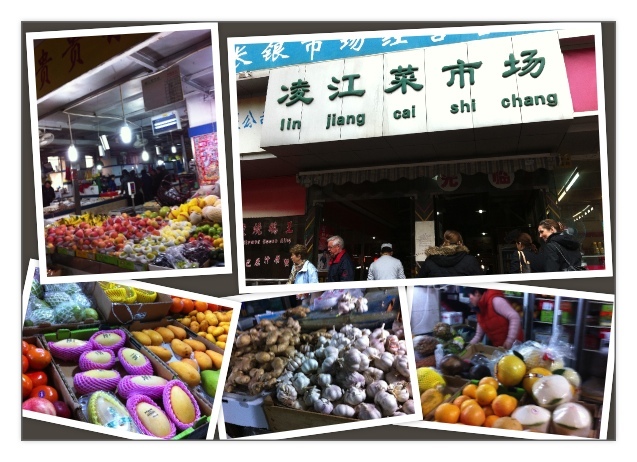 Located in Pucheng Lu (15 minutes by car from where we live) I was very pleased to find a lot of fresh ingredients (even for my Asian cooking such as lemongrass, kaffir lime leaf, palm sugar, etc), vegetables, fruits, meat & fish (eventhough I dont dare to purchase it yet), flowers and dry food items. Funny enough,I stumbled to an Indonesian lady who bought coconut milk that came from our own country! Nevertheless, I was able to cook authentic Indonesian food ( pictures in here Celebration of Life ) with my findings in this market, one happy kitchen artist in Shanghai! Nice market. I must share that I have some great markets here that cater to expats from Asia, the Carribean, Mexico, Central and South America, and some of Europe. It’s where I find real happiness when I’m a little down. AND THE FOOD! God bless the food! I was spoiled with market options in Bangkok being there for a couple of years, feeling a bit lost when I get in Sh, not much bazaar here! Please send me pictures of your markets Inez, besos.